In 1956 Bernard and his wife Joan decided to leave England to start a new life in Australia. 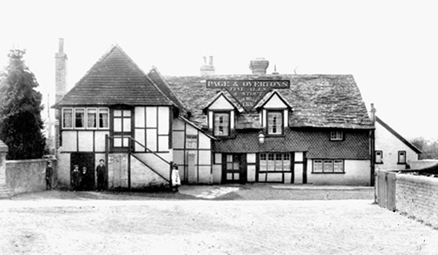 The family were now living by the Olde Six Bells Public House in Horley Surrey. The family consisted of Bernard and Joan with their children Jack aged 13, Robin 11, Colin 9, Crispin 3. The Passenger List below (CLICK IMAGE FOR LARGE PICTURE) shows the families departure from Southampton on 28th July on the M S Fairsea. 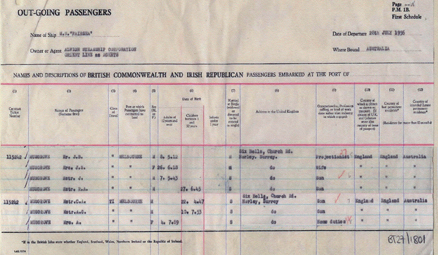 This list shows all the family which includes Bernard's mother Alice, who now aged 67 was also emigrating with them. 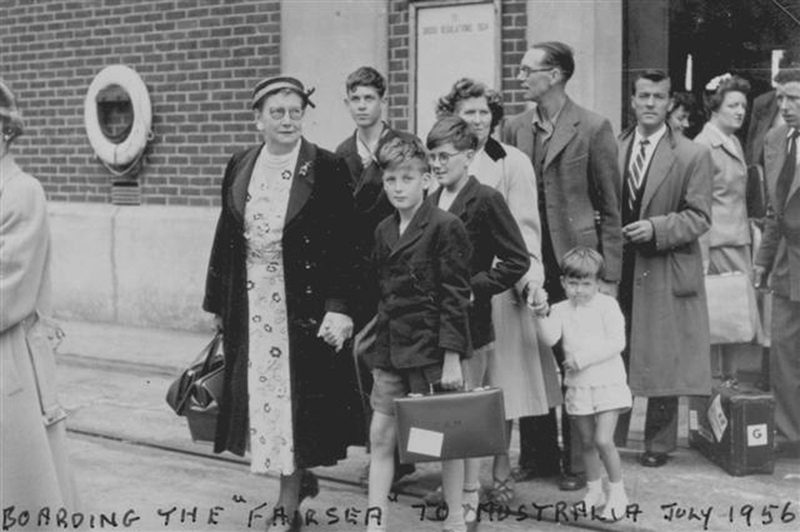 The picture below shows the entire family about to board the Fairsea. They are led by Alice Musgrove who had divorced her husband Rupert many years before. She is holding her grandson Colin's hand. Behind them are John and Robin, who are followed by their mother Joan, holding Crispin's hand and their father Bernard.